Today’s best marketing strategies evolve from intentional collaboration where you take into account new ideas, fresh perspectives, and the needs of key audiences. Modern Marketers know effective campaigns, either B2B or B2C, need multiple perspectives and skill sets to be successful. Industry experts say collaborative marketing may be the next big thing, which may mean you need to change how you approach your marketing efforts or consider partnering with other companies to increase your influence or brand recognition. Working with a remote team or hoping to include out-of-town consumers? Consider the many online brainstorming sites and tools that can help facilitate this process. But don’t forget, these tools can’t always replace the in-person discussions that often fuel the strongest collaboration. For those meetings, you can capitalize on the time you have together with a few handy tips. Within an organization, it’s easy to limit our colleagues’ skills to their current role, but each person brings a host of other experiences to their current job. To support greater collaboration, draw upon the expertise of multiple stakeholders with various backgrounds to help you better formulate a well-rounded strategy. Your product designer may have decades of experience designing for a healthcare company, or your web specialist may also have a knack for video production. Thinking outside the box and tapping into other people’s expertise and past experiences represents a key component to collaboration in marketing. Big-time companies continue to tout the importance of personalization in all types of business, which requires the Modern Marketer to know their target audience better than ever. But diving too deep into a highly-personalized approach increases the risk of alienating parts of your audience. Today’s best marketing strategies evolve from intentional collaboration. To account for these nuances, test your messaging with a diverse group of internal and external stakeholders. You may be surprised by how your seemingly well-thought out idea resonates with a group that brings new views, preferences, and life experience to the table. By collaborating with a representative group, you’ll keep your personalization efforts in check and be able to gauge the effectiveness of your campaign. The Marketing 101 class we likely all took during our freshman year of college taught us to complete a SWOT analysis to measure the strengths, weaknesses, opportunities, and threats related to a new product launch or brand campaign. When filling out these categories, you’re limited to your own view of the project at hand. You can avoid this tunnel vision by collaborating with others to make a comprehensive list of potential challenges and, more importantly, the possible solutions to the challenges you may face. By seeking a wider range of input from your colleagues, you can also draw upon their own lessons learned, whether it was messaging that missed the mark or an ad campaign that failed to increase sales. Take a deep dive into these past experiences to help you avoid repeating others’ past mistakes. 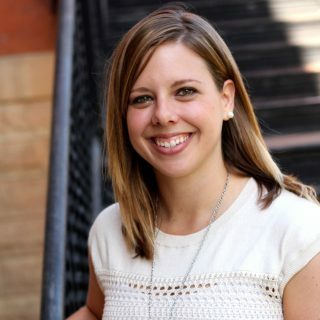 As a marketing professional and freelance writer in Minneapolis, Minn., Jessica crafts blog posts, feature stories, and proposal content for a variety of clients and industries. She uses the inherent power of words to weave stories that help clients convey their key messages in a creative and compelling way. Jessica enjoys a strong cup of coffee and the challenge of a blank Word document.